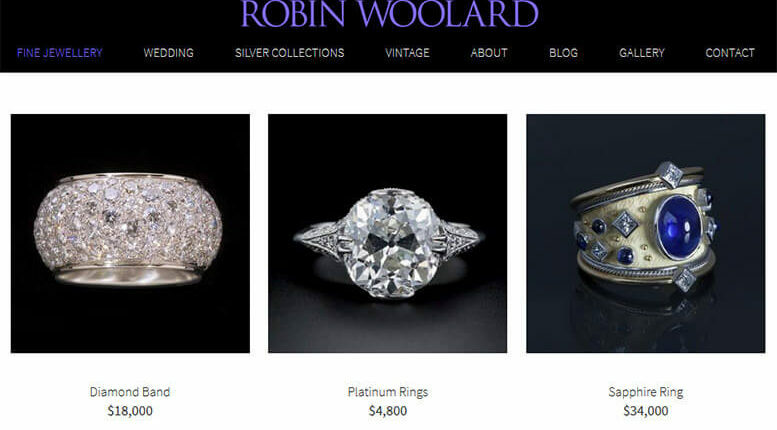 For over 35 years Robin Woolard has been designing and creating unique custom fine jewelry. His style has roots in Italian and Renaissance traditions, offering precious jewelry with stones and metals that are forged by hand without using wax or casting. 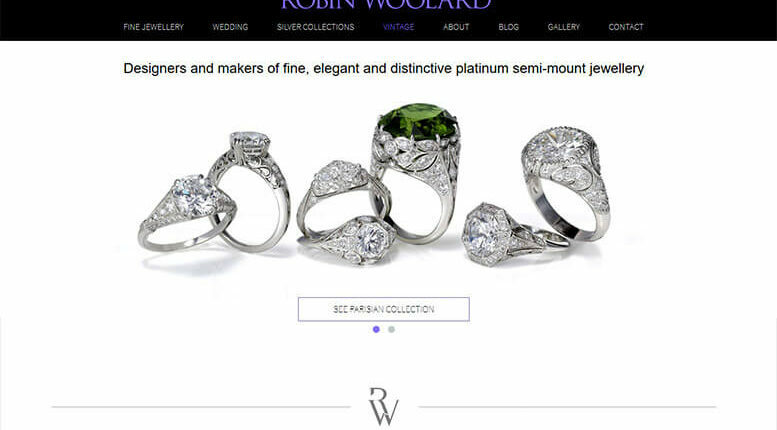 An elegant E-commerce site was developed to highlight different types of jewelry being offered by Robin Woolard. Visitors can easily view categories of jewelry from rings, earrings, bracelets, to cuff links and more. 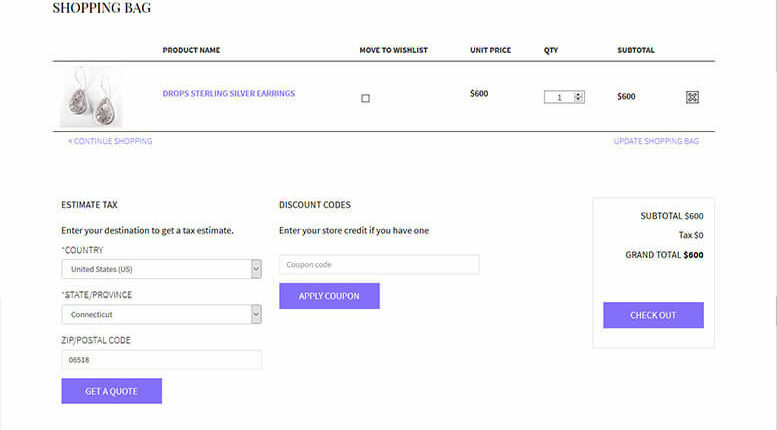 The shopping experience is easy and intuitive. We don’t leave any roadblocks to hinder conversions. There is a quick checkout process that is safe and secure. Created an elegant web presence for target audience. An intuitive, secured shopping experience. Wish List, Book an Appointment Form, Newsletter Subscription Integration. Incorporated Google Analytics, Google Search Console, Submitted XML Sitemap, Search Engine Optimization for Pages and Products.